1-CD with 8-page booklet, 25 tracks. Playing time approx. 61 mns. 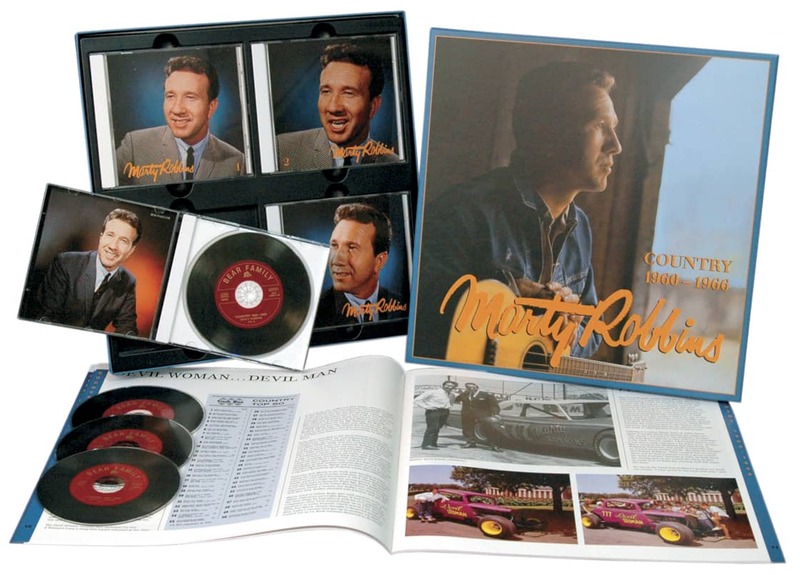 No country singer was more effortlessly versatile than Marty Robbins. 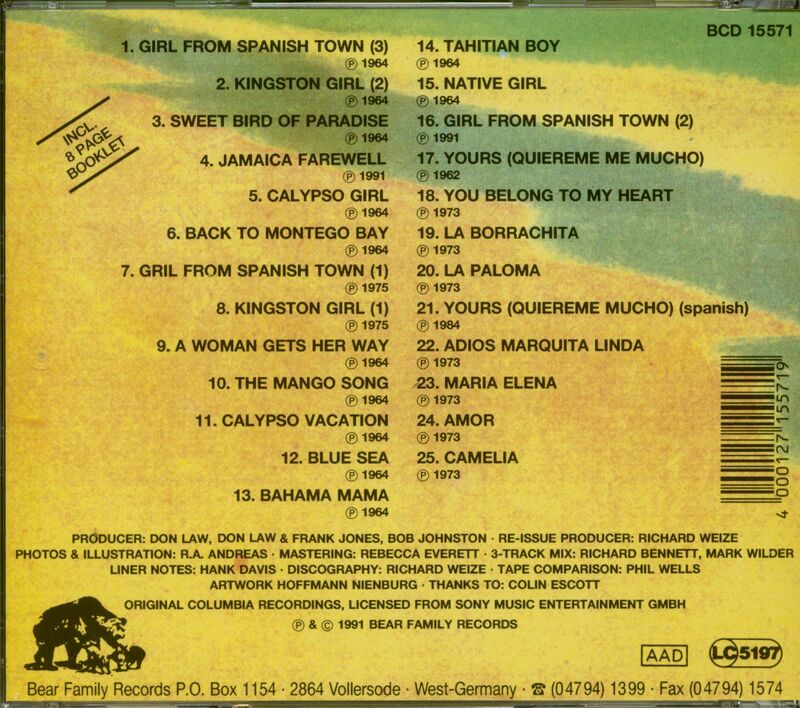 He loved Mexican and Caribbean music, and this anthology collects songs like The Girl From Spanish Town, Kingston Girl, Jamaica Farewell, Bahama Mama, You Belong To My Heart, Amor, La Borrachita, La Paloma, and Maria Elena. Although the infant known as rock 'n' roll had been toddling around America for quite a while before Elvis Presley cut That's All Right on a summer's evening in July 1954, it was the break-out success of that record that brought this supposed 'new sound' to the attention of the hillbilly music industry. By 1955, what at first seemed to be a novelty success was obviously a growing trend. And although no one was sure that rock 'n' roll was here to stay, it was certainly beginning to cut into the incomes of many established country music stars. With the craze for this new beat, it just made sense for country singers to grab a piece of the rock 'n' roll pie. Some performers were baffled by the music and it showed in their attempts. Others took to the new sound instinctually – understanding the connection to hillbilly boogie and the 'sock rhythm' of Hank Williams and the younger breed of honky-tonkers that had followed in his wake. Although these artists produced a handful of great rockabilly records, they were still wading the shallow end of the rock 'n' roll pool rather than diving fully into the deep end. And then, there were a few singers that might have very well abandoned country music for a rock 'n' roll or pop career if things had worked out slightly differently. 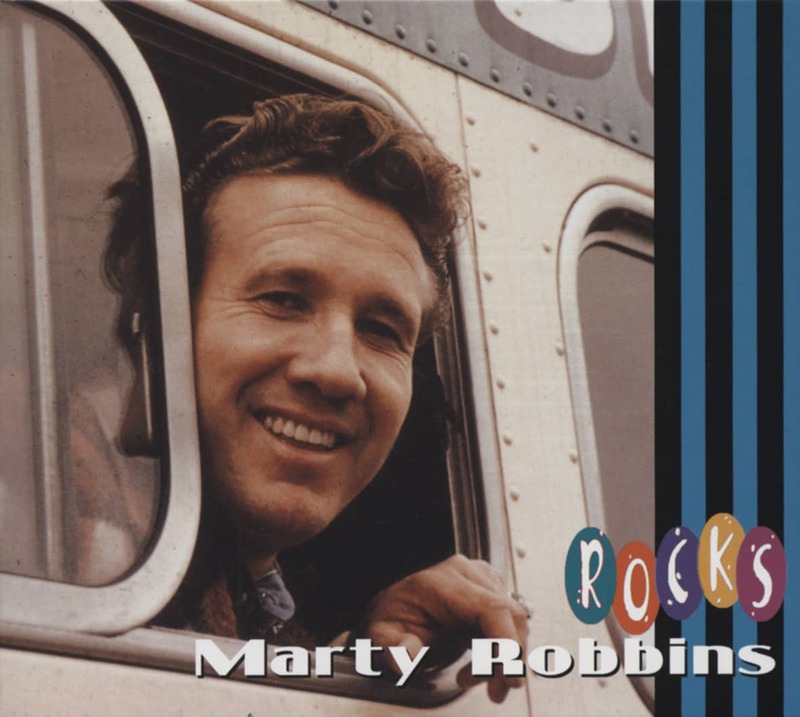 That's certainly the case for Marty Robbins, who for roughly a year, was definitely pointing his career in a rock 'n' roll direction without ever coming off as a poser or pretender. 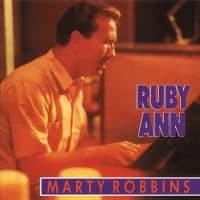 But Robbins was never one to rely on just one style, no matter how much success he found in that field. As he told journalist Bob Allen in 1981, "I don't want to be put in any category. I don't want to get in a rut." 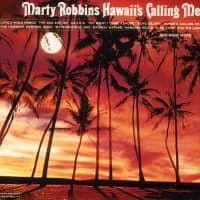 It was Robbins' refusal to be pigeonholed and his musical eclecticism that enabled him to record great rock 'n' roll and rockabilly records but also led him to many others fields. If rock was the soundtrack of teenage rebellion, Robbins certainly had experience. Born September 26, 1925, near Glendale, Arizona as Martin David Robinson, his early years were spent in a poverty-stricken household with an alcoholic father who frequently vented his rage on his wife and nine children. Although his parents divorced when he was twelve, it did little to help the family's financial situation. Entering his teens, Robbins found rebellion as a way to express his anger and frustrations – engaging in petty crimes that led to several encounters with the law. His rehabilitation eventually came at the hands of the U.S. Navy. He enlisted in May 1943, and served in the Pacific where he piloted landing craft during the bloody fighting for the Solomon Islands. But the Navy did more than reform him from a life of crime. It was while he was in the service that he first began taking an interest in performing, learning to play the guitar. Although hillbilly music was very common in Arizona, Robbins' main exposure to music as a child had been radio crooners and the singing cowboys in the Western movies he dearly loved. Many of his fellow sailors were Southerners, and it was from them that Robbins learned to appreciate hillbilly music. 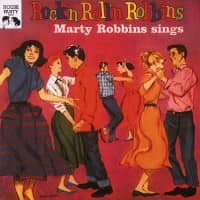 When he returned to Glendale, Arizona after the war, Robbins drifted into a career as a hillbilly singer, eventually changing his name to the shorter and catchier 'Marty Robbins.' Part of the reason for his career choice was simply because he had little patience for the 8 to 5 grind of a normal job, and with many honky tonks and hillbilly radio shows scattered across the Southwest, the hillbilly field rather than pop crooning was where the most opportunities lay for breaking into the business. 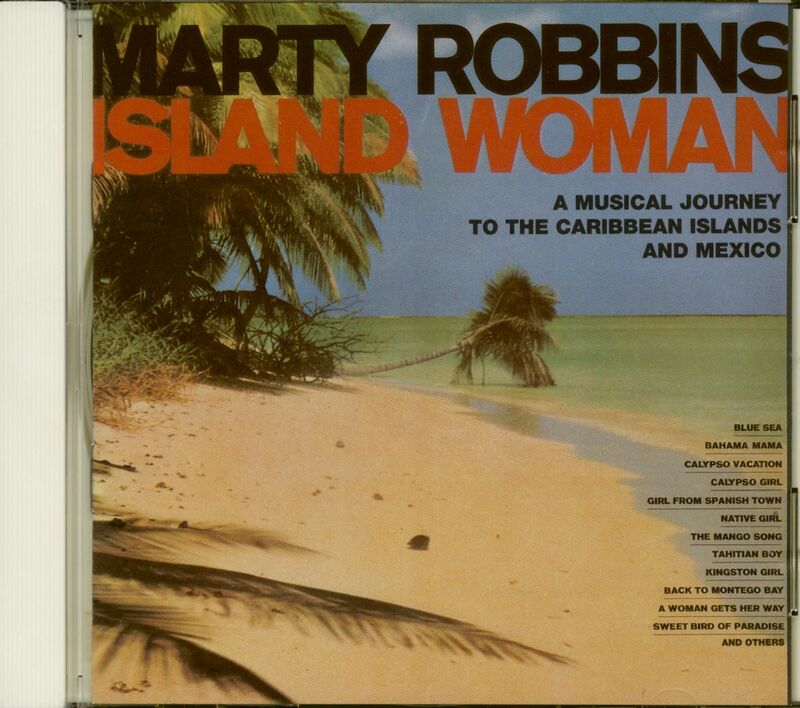 Early on, Robbins demonstrated a sharp business sense and the willingness to work hard at his career. Throughout the late 1940s and into the '50s Robbins kept a busy schedule working in radio and TV, along with personal appearances that ranged from Texas to California. It was this hard work, learning the business and developing his skills as a consummate entertainer that led to his signing with Columbia Records in 1951. Starting with Robbins' first session for Columbia in November 1951, he began developing the smooth, melancholy style that led to the nickname, 'Mr. Teardrop.' It was a variation on the Eddy Arnold country crooner formula of heartbreak ballads that relied on the interplay between smooth vocals and the cry of the steel guitar. 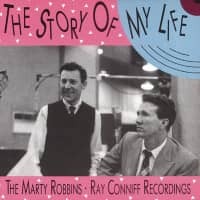 This formula led to Robbins' first two hits, I'll Go On Alone, that reached number one on the 'Billboard' Country singles chart for one week in January 1953, and I Couldn't Keep From Crying that reached number five in March 1952. Customer evaluation for "A Musical Journey To The Caribbean & Mexico (CD)"